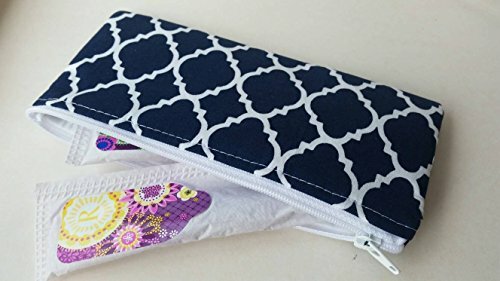 This beautiful and versatile case will help you keep all your sunglasses or personal products neatly organized in your purse or bag. It can also provide you with a discrete way to carry your tampons. Made out of durable cotton and padded, this cute case will make all your girlfriends jealous! Dimensions: Roughly 7 by 3 inches. Fabric placement will vary. Machine washable and lay flat to dry. This listing is for 1 case and does not include any accessories pictured. The last picture is to illustrate size of the case for sunglasses. If you have any questions about this product by LaviLor Bags, contact us by completing and submitting the form below. If you are looking for a specif part number, please include it with your message.